Affordable Roof Cleaning and Maintenance in Hialeah FL is the "Lifeblood" of our industry. Maintaining your Roof so that it remains sturdy, strong and intact Year after Year is a humbling job. We don't take it lightly. 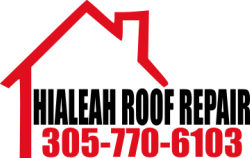 The roof maintenance programs at Hialeah Roof Repair are second to none. We focus on the investment you have made in our ability to keep your Home a Safe Haven. In South Florida we offer a Once a Year or BiAnnual Plan. Inspect Metal areas for rust, or discoloration. Examine Seals and Joints for cracking. Test for Waterproofing Integrity and Leaks. These series of inspections give us a clear picture on the longevity of your Roof's lifetime. If we catch a "repair" early it can mean the addition of 10 yrs before the need for replacement. Call us today for a FREE Inspection it could mean extending the life of your roof 10 or more years!